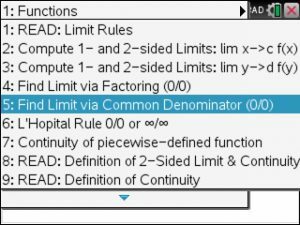 When selecting the menu option 4: Limit via Factoring you enter your function and the x value that you are approaching. 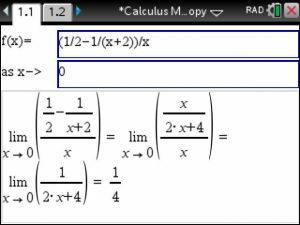 Now lean back and observe the steps to arrive at the limit. 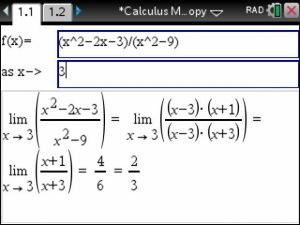 Calculus all of a sudden got easy! See below. 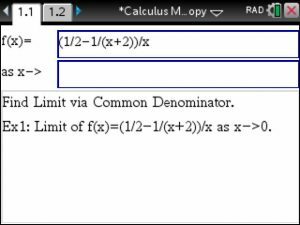 These Step by Step Limit computation methods using your TiNspire CX CAS will allow you to master your Calculus class.